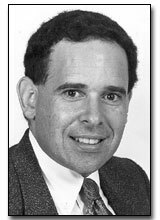 Michael Sondheimer is a pioneer in the fields of women's collegiate sports publicity, promotions, marketing, and radio & television. Since 1977, Sondheimer has anchored these capacities for the UCLA Athletic Department, along with sports recruiting in both men's and women's sports. In 1977, UCLA named Sondheimer the nation's first women's collegiate Promotions Director. A year later, he was handling both women's sports publicity and promotions. In 1981, he became a UCLA Assistant Athletic Director and Recruiting Coordinator for all (21) sports, outside of football and men's basketball. In 1984, he became Associate Director and Recruiting Coordinator for all sports, men’s and women’s, except football. Sondheimer has won twelve National College Sports Information Directors of America (CoSIDA) Publication Awards. For more than a dozen years, he was Executive Producer of “Bruin Talk”, a weekly cable TV show about UCLA sports, which he initiated in 1978. Mike has been broadcasting UCLA volleyball and basketball games on radio since 1978, and the lead statistician-researcher for virtually every NCAA men’s and women’s volleyball championship telecast since the late 1970s. Since 1998, he has provided UCLA broadcast commentary for the internet. Mike was Media Liaison and Statistical Coordinator for 1984 Olympic Basketball. He coordinated the volleyball statistics for Turner Broadcasting for the 1990 Goodwill Games, and he annually coordinates volleyball stats with ABC, CBS and NBC Sports, Fox Sports, ESPN, and other broadcasters.